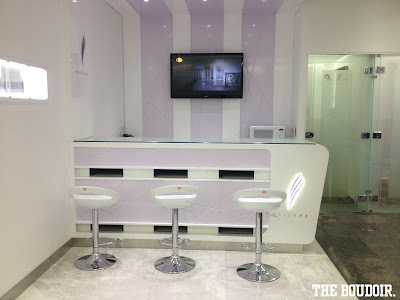 One Eleven Nail Spa, has opened for a week now in Dar Al Awathi. Still soft opening and open for customers. 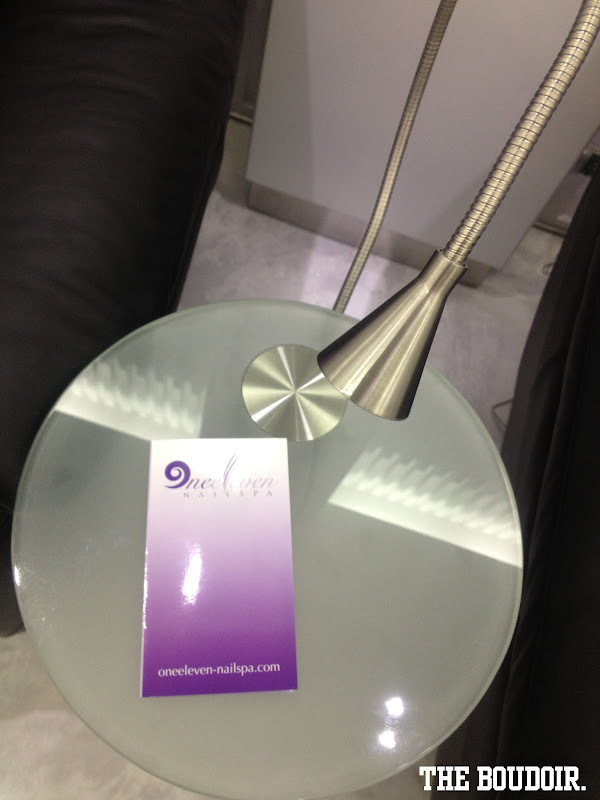 Its different than other nail spas, in decor. 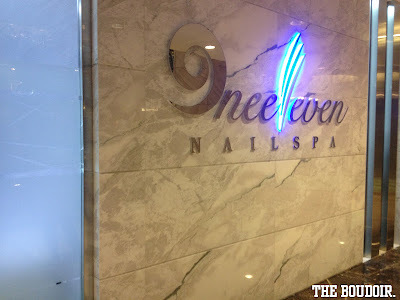 I've noticed the quality of the spa itself, which stands out and catches your attention, from the marble flooring, to the drapes, and chairs. Very elegant and luxurious. 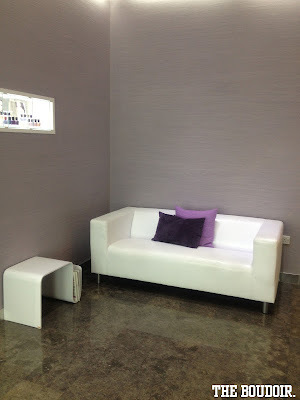 I went in to meet my friend who has already booked an appointment, and from her reaction, I know this place is a must. She's a bit picky when it comes to manicures. So if she's happy then they're really good and thorough. 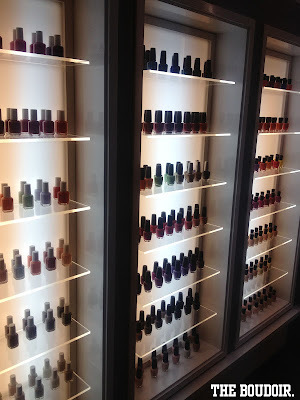 Their nail polish collection for now, is Essie, Zoya, and O.P.I. Very organized and not messy like other salons. Another thing that shows they care for quality. 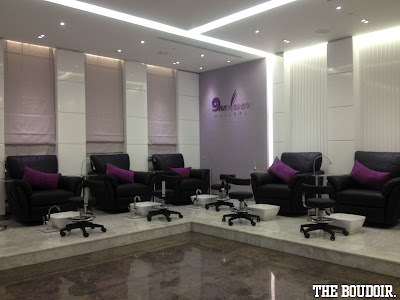 There's also a facial threading section. 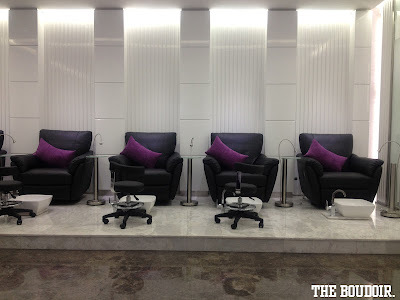 And your "little kittens" can have their nails done while being pampered and relaxed. One treatment that is new, something I haven't come across like ever, is the expensive and hydrating La Mer VIP Treatment.